Today, you will learn how to create a blog all under 20 minutes. I have also included discounted pricing of 2.95/ month that I personally negotiated with Bluehost for all my readers. Plus you will also get a free blog domain (blog name)if you sign up using my link. Probably you are like me I used to think that creating a blog was hard work, that one needed to be tech-savvy or have design skills. 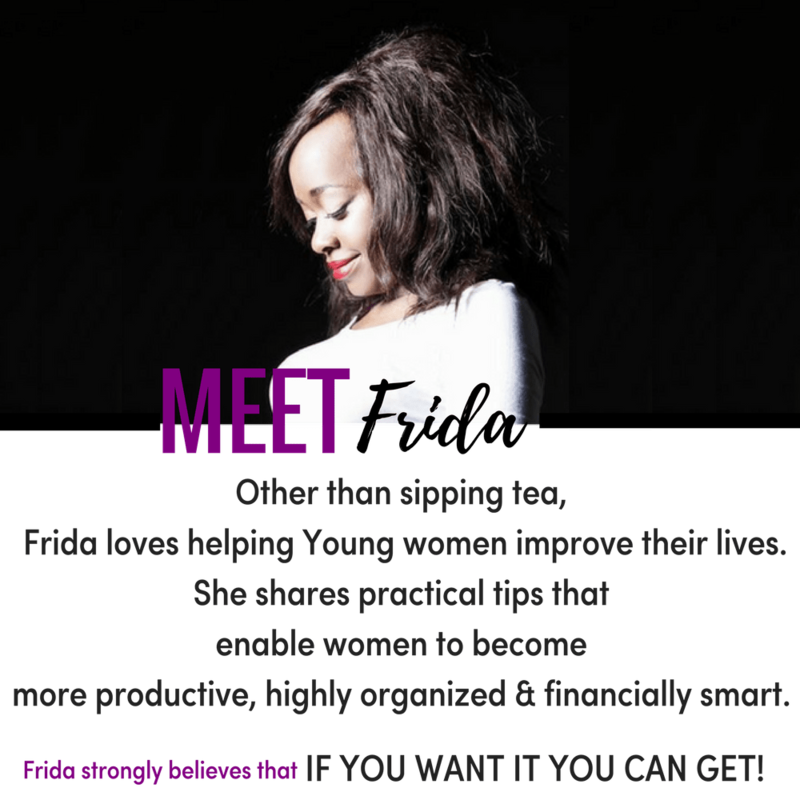 But today I’m here to tell you anyone can start/create a blog. As long as you can read and type on a computer. To prove you right I have created a simple straight forward tutorial on how you can set up your own blog within 15-20 minutes. I consider this tutorial as the easiest path to create a blog site because I simply understand how it feels at first since I was there. **Note: This guide contains affiliate links which mean, at no extra cost to you, I will earn a commission if you choose to make a purchase. You can read about it more in my disclosure policy. Thank you all for your support! How To Create A Blog In 20 Minutes. In this tutorial, I'm are going to walk you through every step you need to build your blog successfully. There lots of images as well for a better visual part. 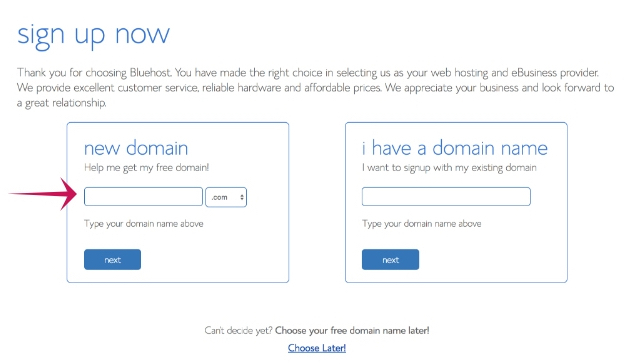 First, you will go to the Bluehost.com home page and click the “Get Started Now” button. I would recommend that you start out with the basic plan because if you ever need more than a shared hosting account, you can always upgrade with them later. Once you have selected the hosting plan. You will be then taken to the next screen page where you will be choosing your domain, or add your domain. (Domain name is the name of your blog). There are two options in this depending on where you are. If you have a domain already that you have purchased elsewhere, here is what you do. 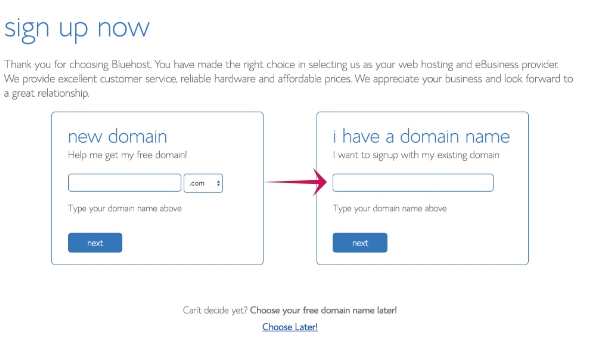 You will use the box on the right that says, “I have a domain name” then add the appropriate extension. .com, .net, etc. Note that with this step, you will have to go through some extra steps to transfer your domain from where you bought it from originally. Bluehost will provide you with the information that you’ll need to easily complete the transfer just start a chat live or write them an email from the contact page of their website. Which will simply be to make sure that your DNS is pointed to Bluehost. if you have a name with Godaddy for instance here are instructions on how to carry out the transfer. Is it your first time registering for a domain name? You will get one for free just for signing up and using my link. So just choose the box on the left for a new domain option to add, then add the domain name that you want plus the extension. Please make sure that you check your spelling, again and again, to avoid making any mistakes. The final option is if you don’t have a name yet, you will be able to see an option below saying choose later. So you can always come back and fill it in when you have more time. 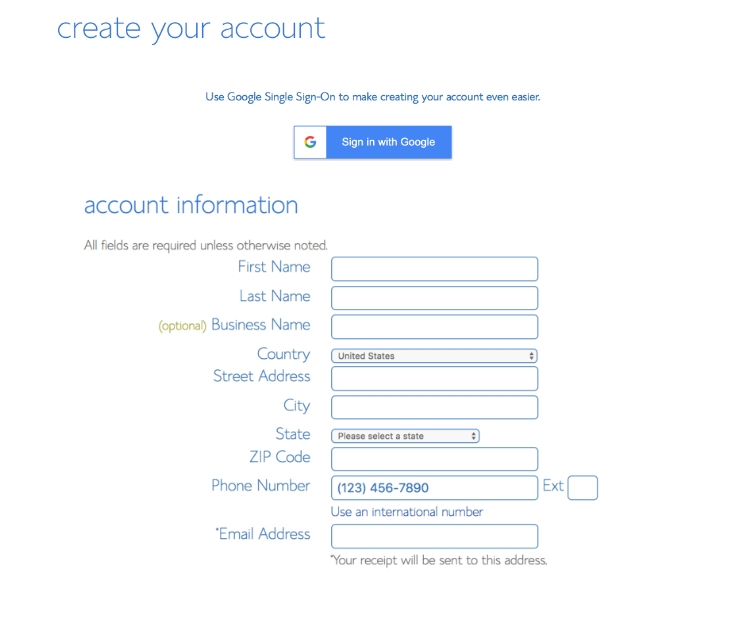 So once you have selected the domain name, the next screen page will be to fill in your personal information such as your billing information, name, address, etc. Below that you will be required to fill in package hosting information, this is where you will be required to fill in the hosting plan that you want to have. There are 4 options that are priced differently, depending on how long your package is for 12, 24, 36 and 60-month plans. If you want to save money the longer term you purchase, the lower the monthly pay rate will be. 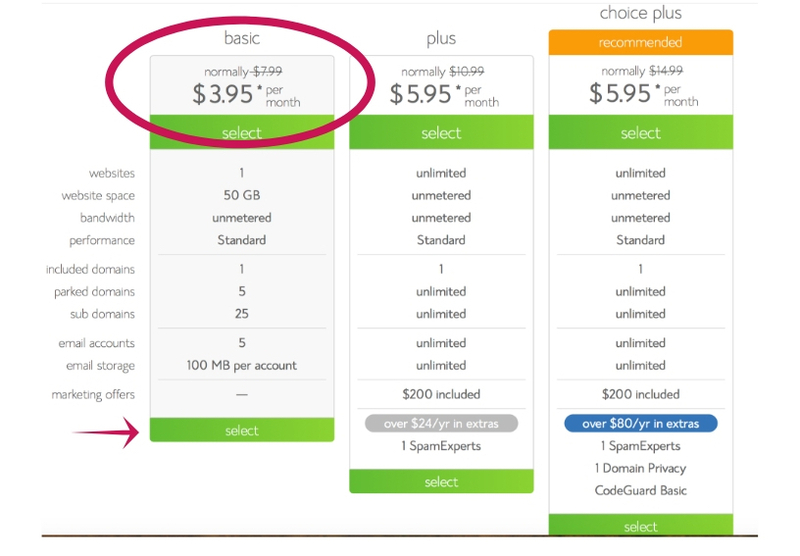 For example, if you choose the 36-month hosting plan, you will pay $3.95/month. But here is my advice, starting out with the 36-month plan is a better deal. That’s what I always choose when starting a new site. Below that, you can see extra package options. 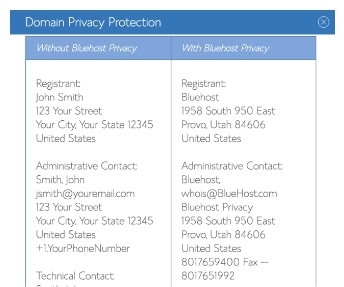 Most of the boxes on this page will be checked, but the only option that I recommend is Domain Privacy Protection. Simply because domain privacy protects and hides your personal details so that your information remains confidential from the public. See an example of with or without domain privacy. Remember to uncheck all other boxes because these features aren’t that necessary. That will be up to you if you feel like you need them or you can upgrade later. The last image will be payment information. Here you are filling in all your card details or any other modes of payment, which will be the final portion. This will indicate that a confirmation email was just sent to your inbox. So, later on, you can go to that email and click the confirmation link. 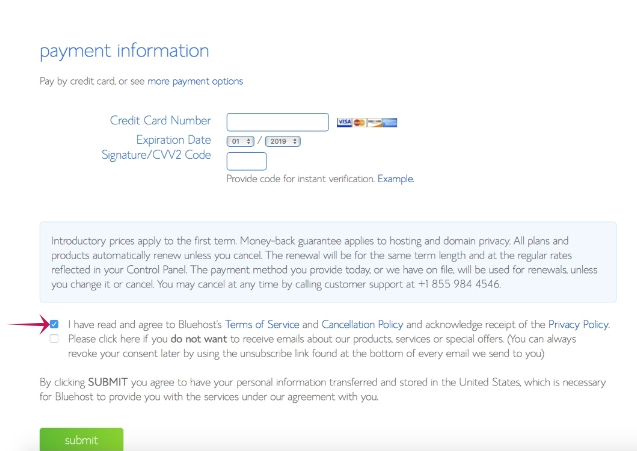 Below that, you will be required to “Create your password” for Bluehost. Next, you will be logged on the page, where you will be asked to select a theme for your new WordPress site. There you will find plenty of options. I probably wouldn’t spend too much time on deciding what theme to use because typically it’s just a place holder to get you started. You can also select a free random theme that you like for now. You can always upgrade it later. Alternatively, skip it for now and save choosing a theme for later (down below there is an option for if you decided to do it in the future). So after you have decided on and chosen your theme to start with, it will take a few minutes. At this time either you have chosen a theme, or not. 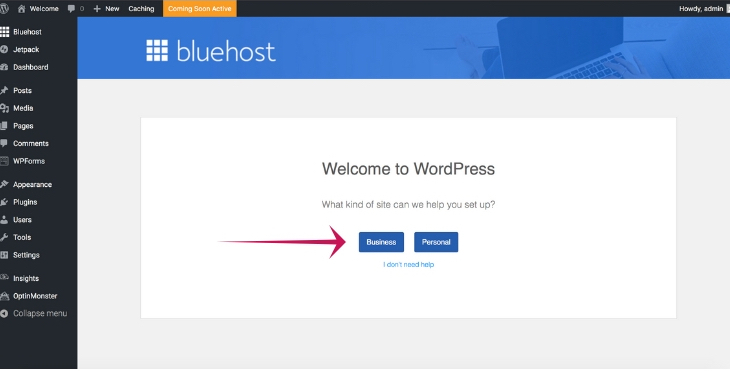 This is the time Bluehost will be to setting up or installing your WordPress dashboard in the background. Once finished, the following page will say “all done”, and you will be required to click on start building. Then you will be taken to your WordPress dashboard. Now you officially own a blog! Choices will be either for business or personal use. So choose the business option. You will be redirected to a new page where you need to click the “Launch” button. Once you click that, then on the next page, you will be required to fill in your site name and site description, which is also called a tagline or a motto/slogan. What’s best is that you can change it at any time to make it simple. Next page screen you will be will be asked you if you will be updating your blog with new content. Select Yes. 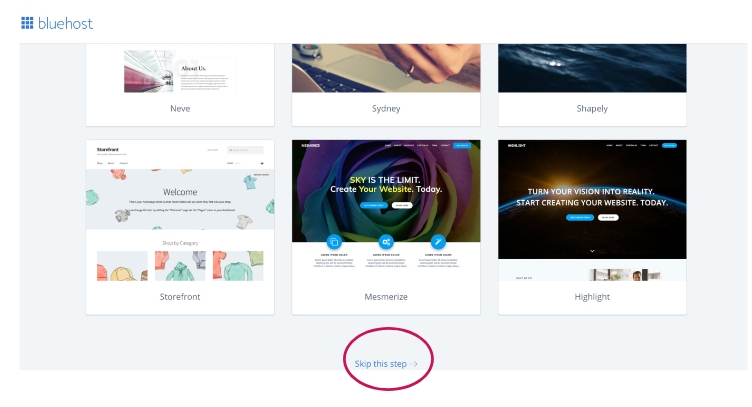 There will be 2-3 more steps asking you to install things my advice is you should skip for now come back to them until you understand how WordPress works. Now, you can begin working on your new blog.